Here you will find a wealth of information, activity and advice from our members and across the industry. The Equality and Human Rights Commission’s guide to increasing diversity in the broadcast industry. This Channel 4 pilot (also known as the Cumberbatch study) looked at the perceived diversity of nearly 900 TV programmes broadcast on all the major UK channels during late 2009. Stonewall report on gay people on youth TV produced in 2011. 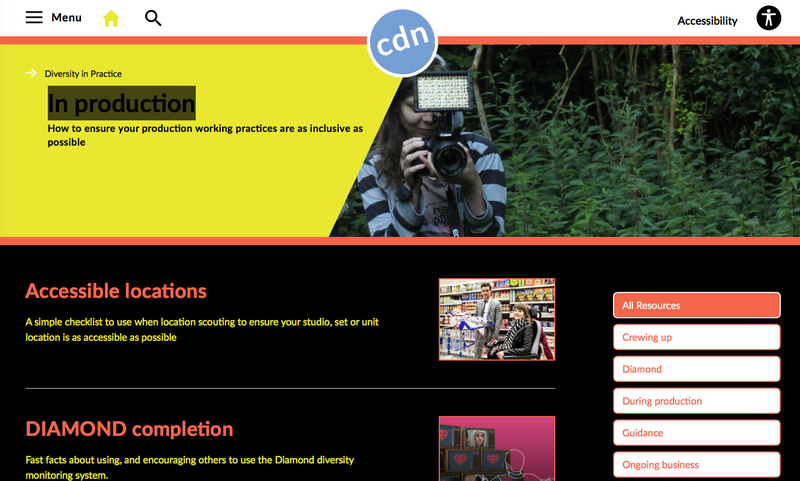 In 2012 Creative Skillset commissioned a survey of diversity in the creative media industries. Click to download their full report. The Creative Diversity Network’s report into diversity on television from 2014. This film (shown in two ways) raises awareness of disability within the industry as well as highlighting the difference between a fully accessible piece of content and a non-signed, audio-described and subtitled broadcast.